PSDA's foundation is rooted in partnership — to help companies connect in meaningful ways to address changing marketplace needs, and to ultimately grow sales and improve business. Collaboration, not just competition, has become paramount to that growth. But how can you turn that notion into action? and where to get started. We want to hear from you! Let us know how your team is progressing through the kit by emailing your successes, challenges and questions to partnerships@psda.org. 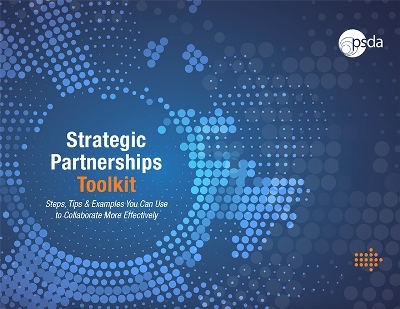 The Strategic Partnerships Toolkit was funded by the Print Education & Research Foundation (PERF). Click below to access your complimentary members-only Strategic Partnerships Toolkit.